delivered daily to your office! Looking for a fantastic way to nurture your employees, increase productivity, decrease absence and attrition and look after your staff’s well being? A growing number of studies have found a workplace supplied with a regular fruit delivery, results in increased staff moral, increased output, and can lower sickness levels. Most importantly leaving your staff feeling valued and thus increasing loyalty! 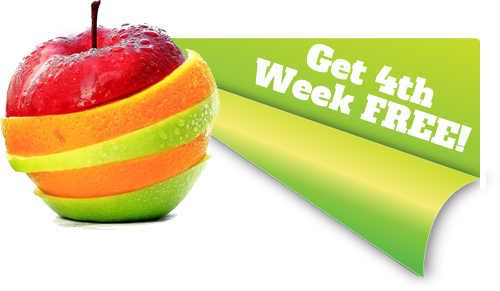 Sign up for an account and receive 4th week FREE on first deliveries! Registration is quick and simple and we can deliver next day! Choose your own Delivery Times! Choose a time that suits your business best! Directly sourced produce from across the world. All our fruit is hand selected and inspected prior to packing to ensure the highest quality and all labels are removed from the individual fruit. Each piece of fruit is hand held and easy to eat at the desk minimizing mess and wastage for each employee. 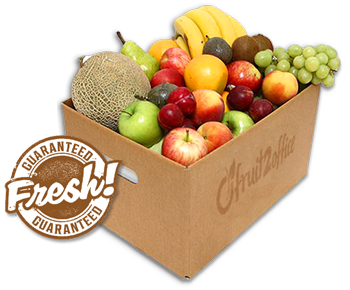 To order your fruit we do not request payment on this site, to order please set up a Fruit2Office account and pay on account each month. If you require “Fruity Fridays” “Tasty Tuesdays”, or any other theme within your office – we can cater for this as a one off or a regular basis Simply call 0161 495 4762 and speak to one of our staff. & get your 4th week delivery FREE! We can also offer distribution packages if you require your own literature included in your fruit boxes. A colour theme, or any special promotion will be catered for. Call 0161 495 4762 to discuss this further or email us with your requirements. We cater for all sizes of companies from 10 to 1000 plus employees from Pepsico, and Lloyds Banking Group to Optasia Medical, and each customer is treated with the same excellent service. We tailor make your fruit to suit your own personal needs. If you require just one type of fruit, not a problem, or even a selection of certain fruit, not a problem. Or you can leave the choice of seasonal fruit to us each week for variety. © 2019 Fruit-4u.com. All rights reserved.